Update: The WD is sold out, but this Wirecutter-recommended Seagate Backup Plus 4TB is available for the same price. 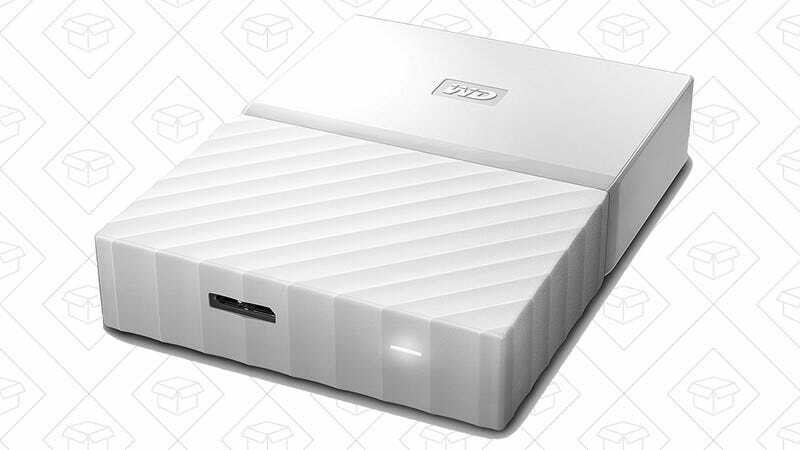 Whether you need to be better about backing up your computer, or are just so excited that the PS4 is finally adding external hard drive support, you can get a WD My Passport 4TB drive for just $110 today for Prime members on Amazon, the best price they’ve ever listed. It wasn’t that long ago that drives over 2TB required an extra power supply, but that’s not the case here; just plug it into a USB port, and it’s good to go.